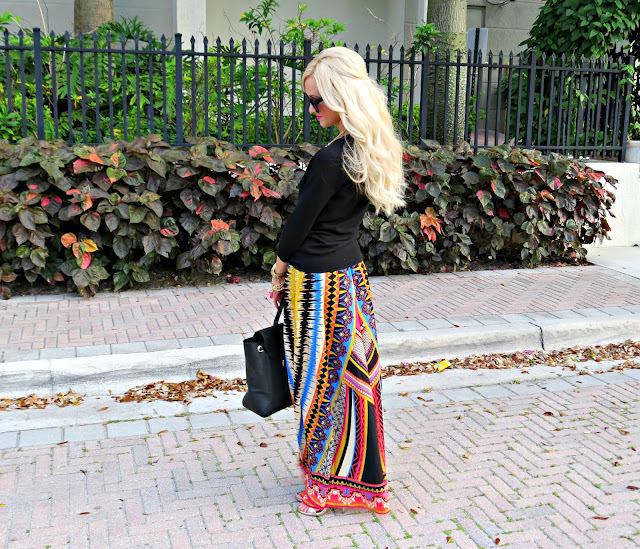 I am sure you all have caught on to the fact that I love maxi skirts and dresses by now... I know I have said this before but they are just so easy and comfortable to wear in the summer heat! I love all of the bright colors in this one from Elysian Boutique. The colors in this can easily transition into Fall because if the all of the darker colors. Elysian Boutique has quickly become my favorite online boutique. They have the cutest pieces, really great prices but most importantly (at least to me) The quality of their clothes is great! I hate it when I order something from a boutique and it feels cheap. And it falls apart after washing it one time! Its such a waste of money! You really won't have to worry about that with Elysian! Love that skirt!! So pretty! This is such a fun skirt Jade! I love all of the bright Summer colors. Gorgeous as usual! 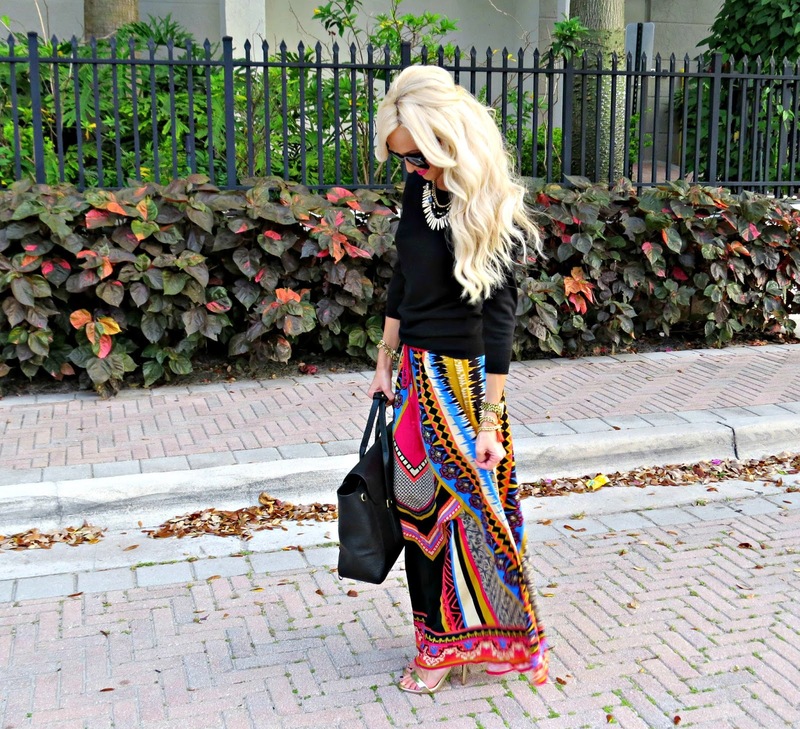 I could seriously live in maxi skirts/dresses! 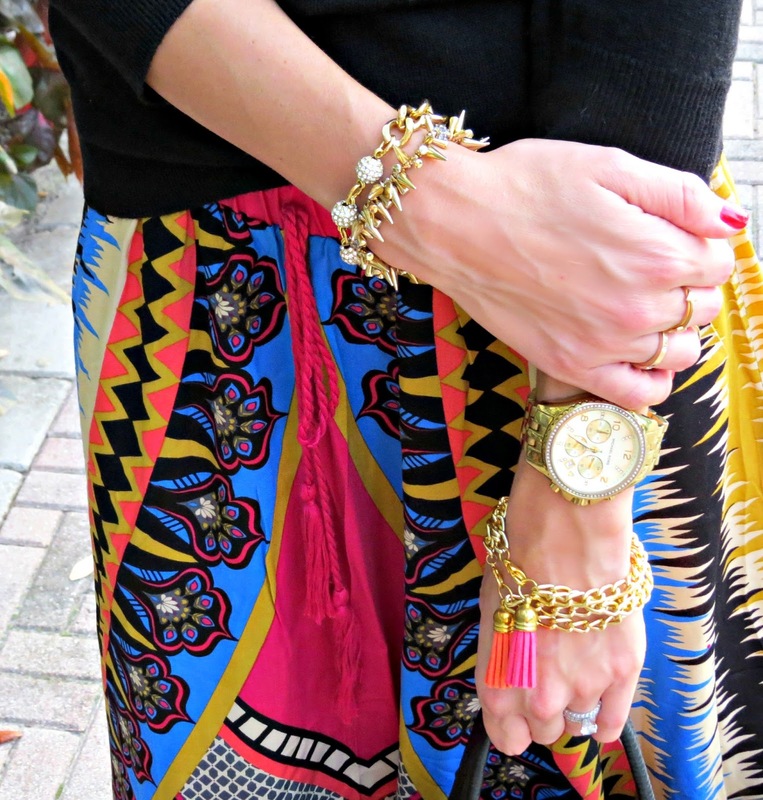 I love this outfit and I adore that bracelet, with the tassels. In love with this look! Great post!